● This is a flat plate. ● Porcelain craftsmanship, bowl glazed smooth, feel comfortable. ● The interior of the plate is made of clay and sesame glaze. The surface of the plate is frosted and has a classical appearance. 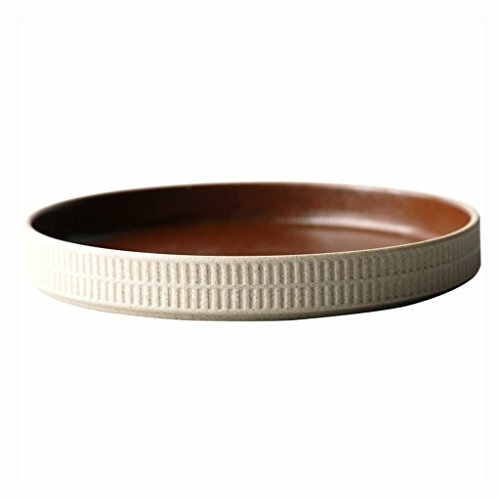 ● Light brown 18cm diameter flat plate shape, 2.8 cm high disc edge is very suitable for soup dishes.